Dirty Deals: Shimano disc brakes, Race Face apparel, Five Ten Freeriders and much more! This week sees our regular Dirty Deals series ignoring the seasonal themed deals of the past two weeks and returning to the classic something-for-everyone vibe. Save 50%! As the blizzards encircle you and you prepare to bed down in your office for the rest of the week surviving only on Rich Tea biscuits and Nescafé, it can be hard to contemplate ever wearing shorts again. But you will. So bag some bargain baggies now. Buy Now: Race Face Indy shorts from Wiggle for only £28.50! Save 50%! We say this pretty much every edition of Dirty Deals: you can never have enough riding gloves so you should always buy a decent pair whenever they appear in the sales. Buy Now: Race Face Trigger gloves from Wiggle for only £15.00! Save 50%! Are you spotting a theme here? Yep, there’s a lot of Race Face clobber on half-price sale at Wiggle at the moment. This jaffa-tastic jerkin is the tip of the apparel iceberg. Buy Now: Race Face Nano Packable jacket from Wiggle for only £40.00! Save 15%! We make no secret of our appreciation of big wheeling Vitus bikes here at mbr, we’ve loved their previous 29 VRX models and this 2017 one comes with Boost axles now. Other than that, same great bike. Buy Now: Vitus Escarpe 29 VRX from Wiggle for only £1,869.99! Save 31%! To paraphrase Samuel L Jackson in Jackie Brown, Shimano Zee disc brakes: The very best there is. When you absolutely, positively got to stop-dead on every ******* trail in the place, accept no substitutes. Buy Now: Shimano Zee M640 disc brakes from Wiggle for only £99.99! Save 35%! Sure, they’re maroon. Not everyone’s first choice of colourway admittedly. But what colour are they going to end up after a few rides anyway, eh? Ignore the colour, feel the deal. Buy Now: Five Ten Freerider shoes from Leisure Lakes for only £54.99! Save 42%! Something for the clipper-inners out there. Shimano M540 pedals will survive a thermonuclear blast. Probably. It’s never been tested but we’re fairly confident they would. Bombproof classic spuds for no-frills daily duties. Buy Now: Shimano M540 SPD pedals from Tweeks for only £34.99! Save 35%! The latest XT brake has been refined very effectively — it’s lighter as well as being improved ergonomically and aesthetically, and the lower price makes it decent value too – especially at this discounted offer. Buy Now: Shimano Deore XT M8000 disc brake from Tweeks for only £77.99! Save 29%! If you’re looking for narrow wide chainring in either 34T or 36T sizes to go on a traditional four-arm crank then you’re in luck. Especially if you like blue or red. Buy Now: e.thirteen Guide Ring from Tweeks for only £30.52! Save 50% This pack is technically not really aimed squarely at mountain biking and it may be a bit swish for getting all covered in filth but for fairweather use or for commuting or simply using as an overnight gear bag, it looks great. Buy Now: Shimano Tsukinist 20 Litre backpack from Tweeks for only £37.50! Save 30%! We don’t know what it is but there’s something about winter that brings out the bike thefts. Maybe it’s baddies getting ready for Christmas, maybe it’s just because it’s darker for longer, or maybe it’s due to chilled and rushing riders not securing their wares properly. Whatever. Get prepped to counter theft. Buy Now: Oxford Chain 8 Lock from Tweeks for only £28.00! Save 31%! Snow if falling… all around… children playing… having fun. Sorry to put a bit of Shakey inside you (as it were) but Christmas was originally invented as a means of giving bikes to kids. Fact. Here’s a rather snazzy number from Cube. Buy Now: Cube Kid 160 Action Team from Tredz for only £164.99! Priceless! 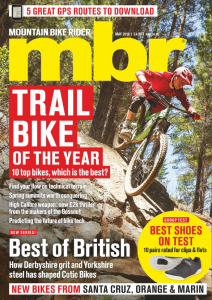 The ultimate magazine for trail riding and MTB, high-quality rigorous product testing, market leading photography and the the best-qualified most experienced writers in the business. 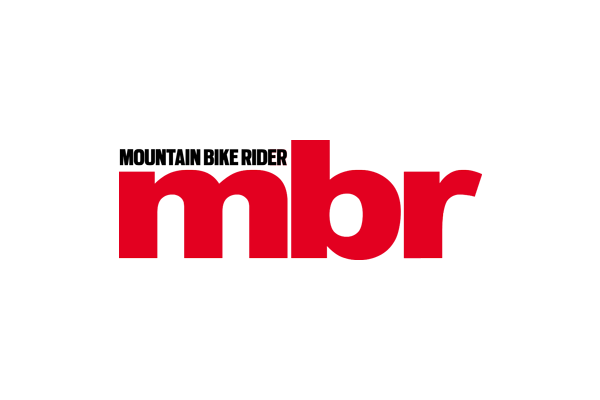 Buy Now: subscribe to mbr for under £20.00! Buy Now: Shimano Deore M615 F&R disc brake set from Merlin Cycles for only £99.95! Save 28.5%! Is three sorts of Shimano disc brakes in one edition of Dirty Deals a bit too much? Maybe. But winter does also seem to be the time when folk start to realise they need better brakes. Under a hundred quid to slap some Shimanos on yer bike? Deal!